It's their 2+2 model or coupe. 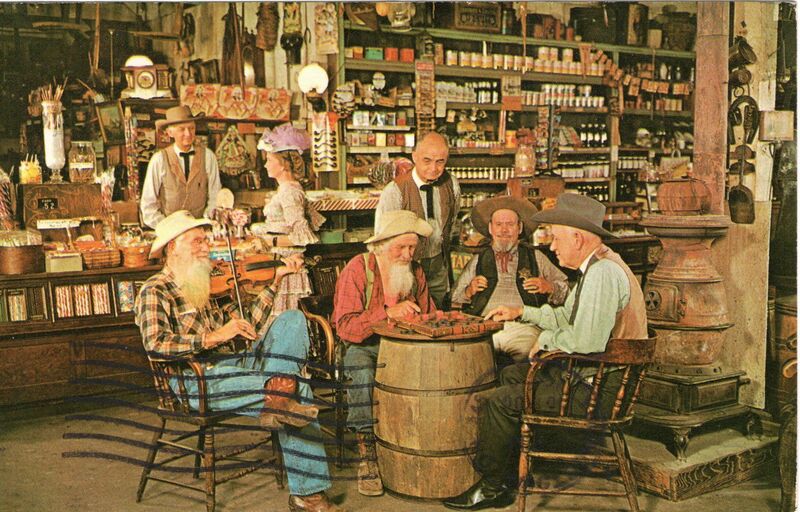 It's a little bit longer for the vestigal "seat room" in the back. 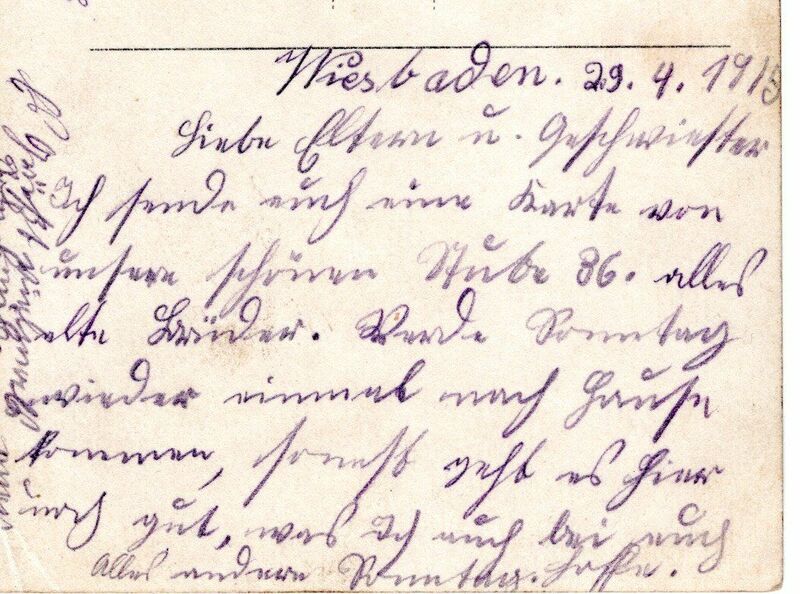 Good grief, September 3, 1909. 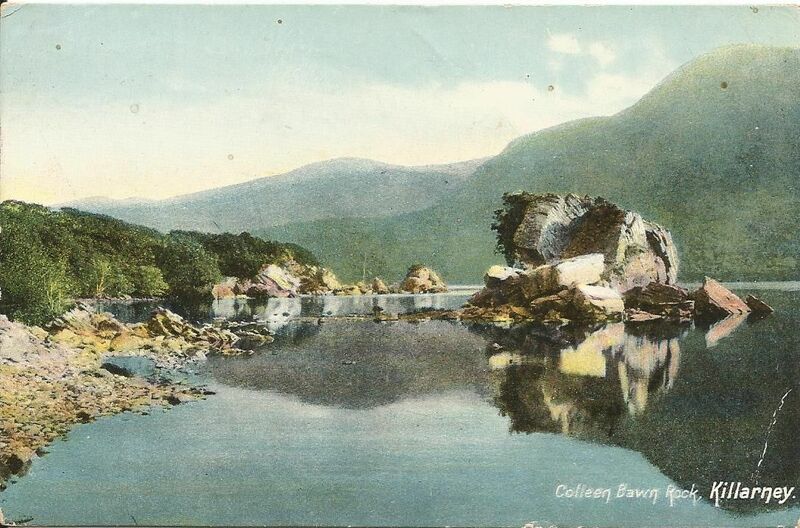 This has got to be one of the oldest postcards in my collection. 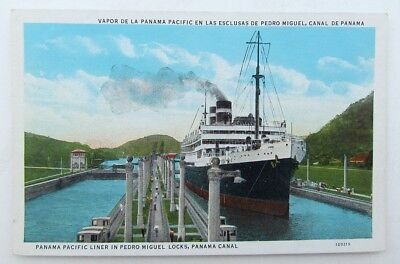 I have another postcard like this one and also from the same sender. I must have bought them together though I can't remember where or when. 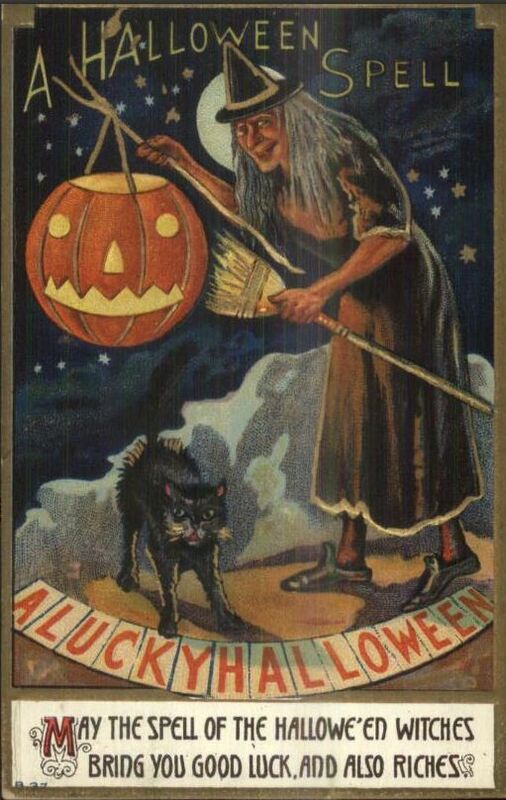 Good luck on reading the message. 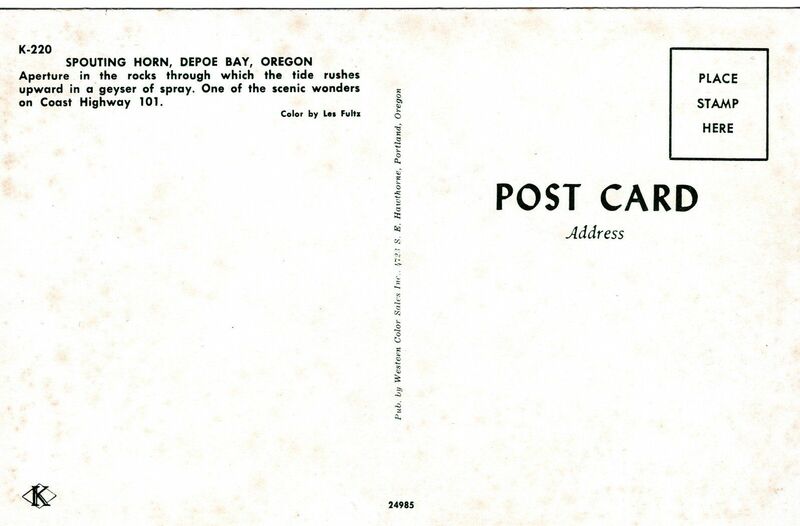 The sender liked to utilize every micro inch of the postcard. Sis is settling for (?) may be she told you. 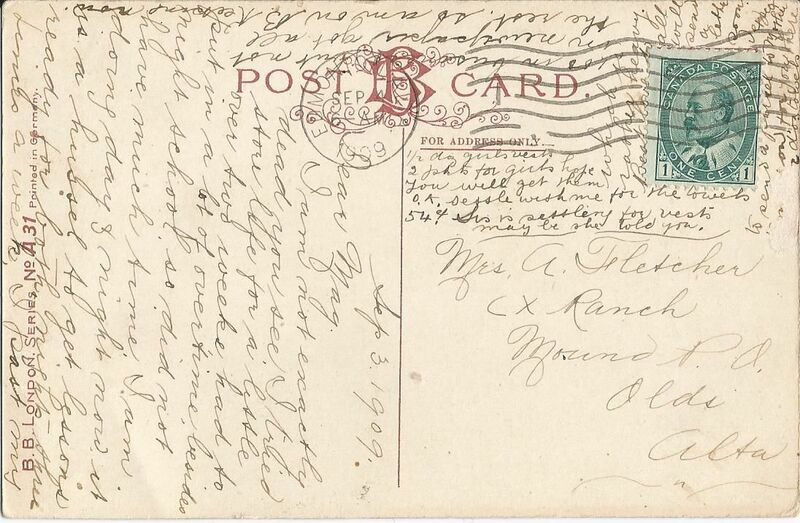 Thanks, spookcat, you did Yeoman's work in deciphering that difficult postcard. Now that you have done all the hard work, I'll just add that on September 3, 1909, a ferry boat named the Magnolia was struck by another ferry, called the Nettie and it (the Magnolia) split in two, sinking immediately in Sheepshead Bay at New York. There were 33 people on board and, after some long and difficult rescue work, everyone was saved. 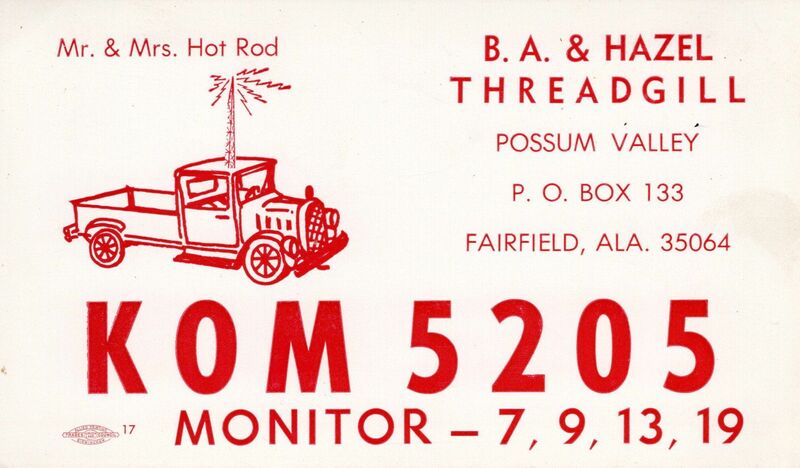 Love that CB radio postcard! Oh, those are nice. 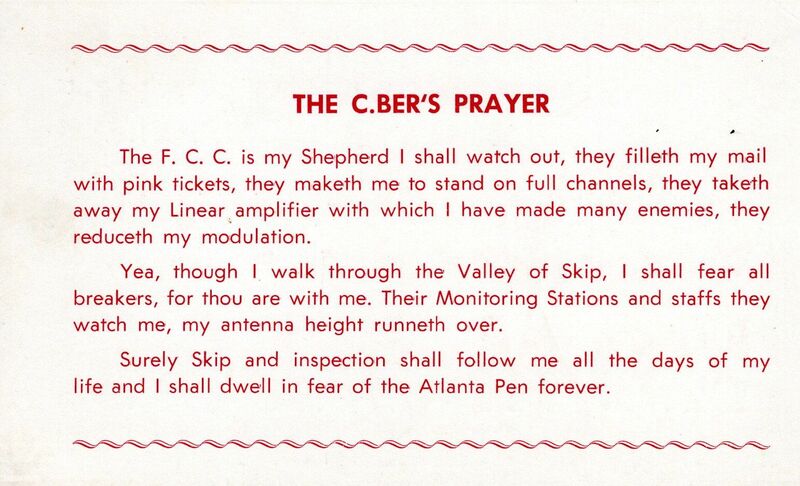 I've noticed that CB & ham radio postcards have nice, personalized artwork on them. 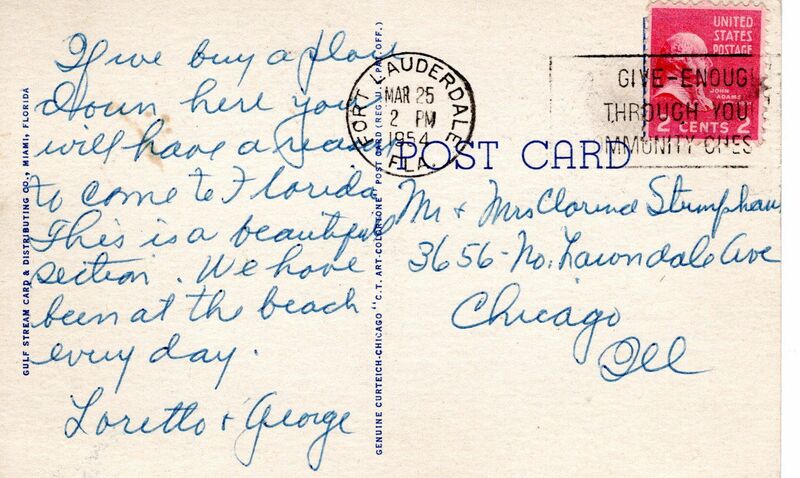 I always keep a lookout for them on a postcard auction that I enter once a month. 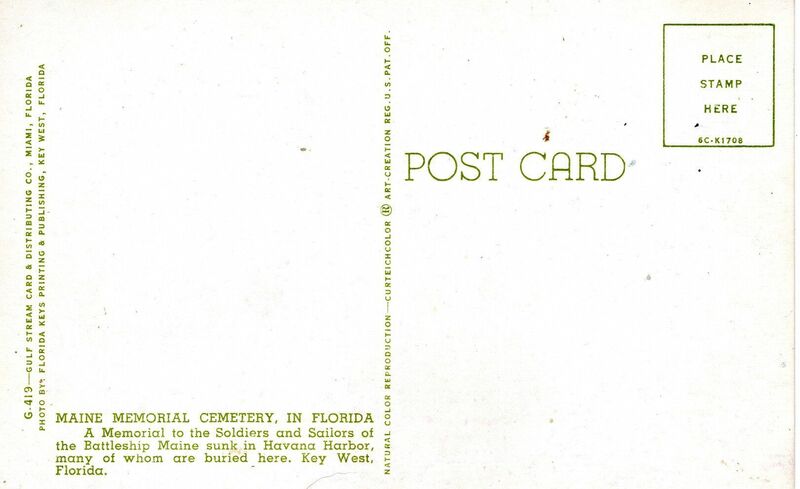 You can find and/or collect some really artistic and interesting QSO cards. QSO means a radio contact or conversation and is almost an artifact these days as everything on amateur radio has moved to computer logging. I really enjoy this thread, and thanks for keeping it running. Very happy that you like the thread. 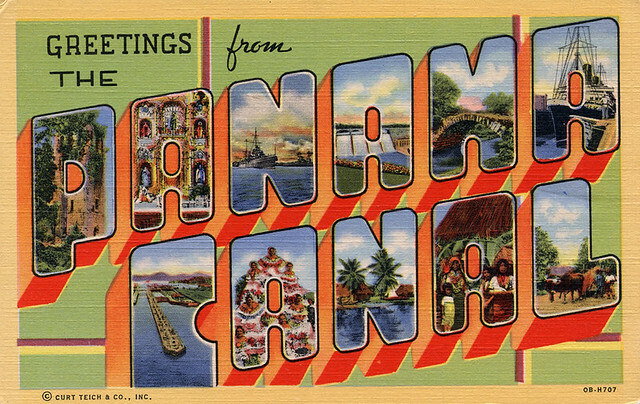 Thank you for the QSO information. 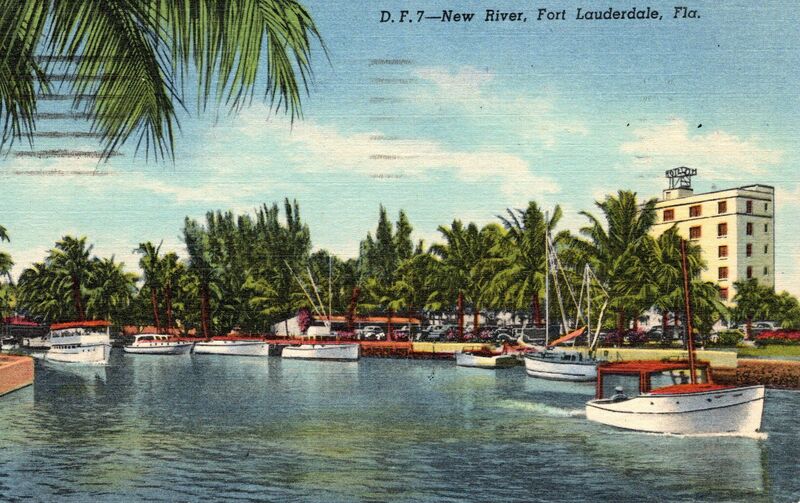 Here is a colorful postcard showing the New River at Fort Lauderdale, Florida. 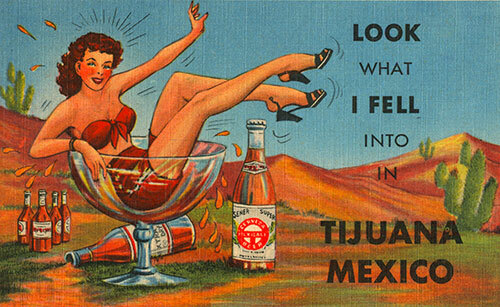 I love postcards from the 1950's. 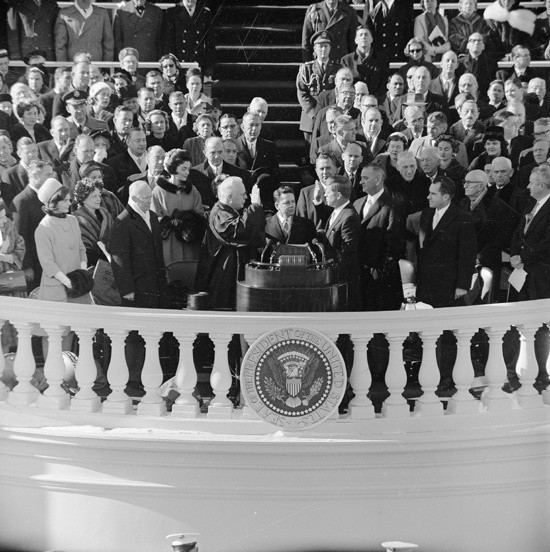 The Academy Awards were held on March 25, 1954. 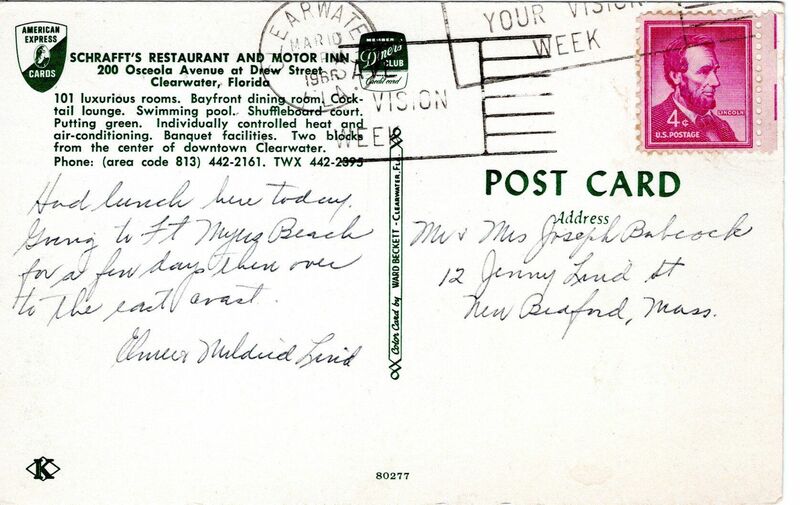 (The date that the postcard was cancelled on.) The Best Picture award went to "From Here to Eternity." William Holden won the Best Actor award ("Stalag 17") and Audrey Hepburn took the Best Actress Oscar for the movie "Roman Holiday." 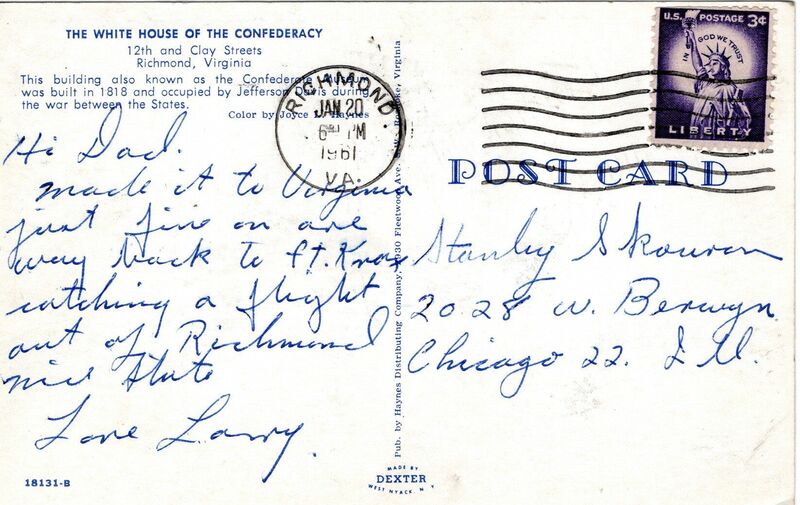 Here is yet another postcard from Shay P's Richmond, Virginia. Poor guy, I hope he doesn't think that I'm stalking him or anything. Quite a lot of history in this building. 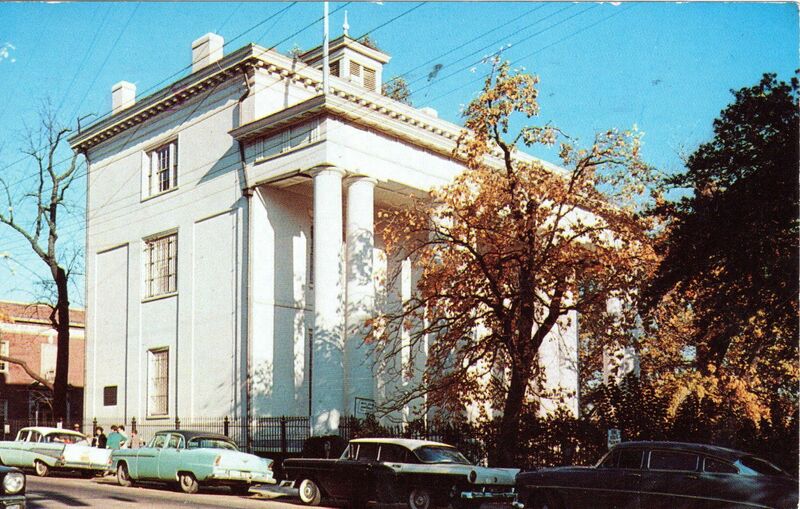 Jeff Davis himself was in there during the Civil War. Nice row of cars out front. What make is that second car? A Buick perhaps? The first one is a Chevy, right? 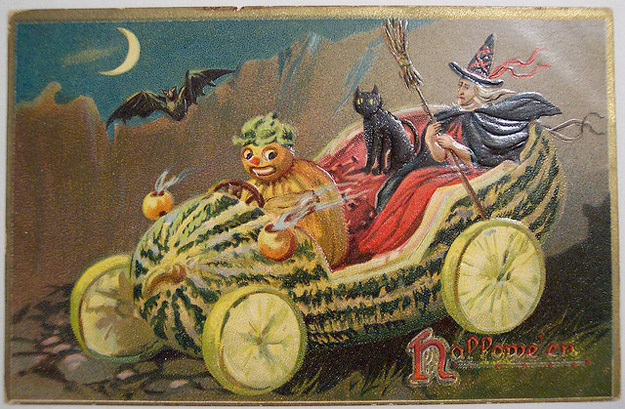 The third is a Ford Fairlane, I'm guessing. The fourth is a, my god, a Hudson Hornet? 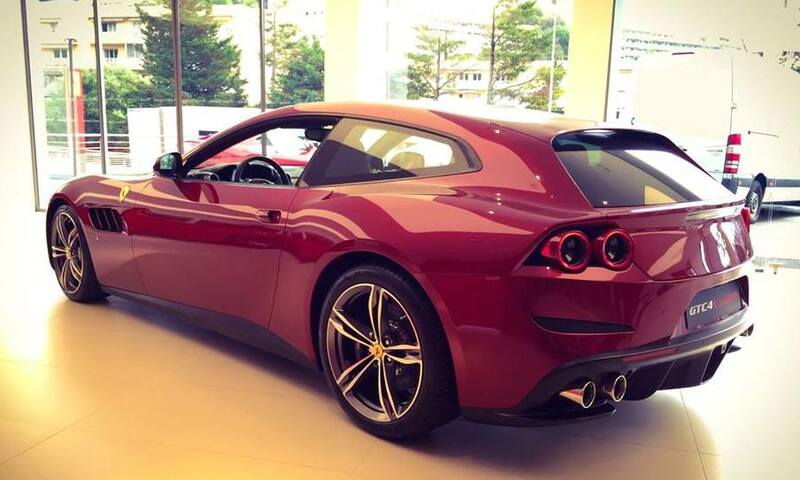 I'd so love to have that one. 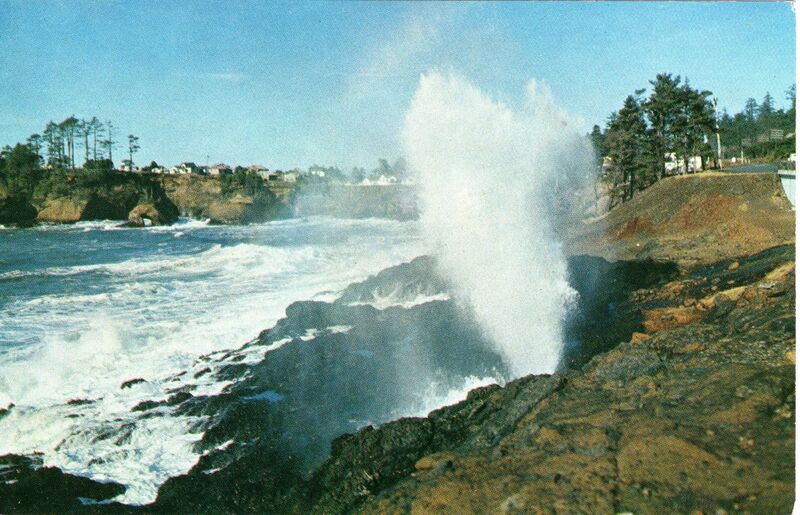 Here is a look at the famous Spouting Horn, on the Pacific coast at Depot Bay, Oregon. You can see it right off the coast highway but there is a place where you can stand to get a better look at it. I've gone by the thing several times and I could see the crowd of people waiting for the horn to spout but nothing was happening as I went by. 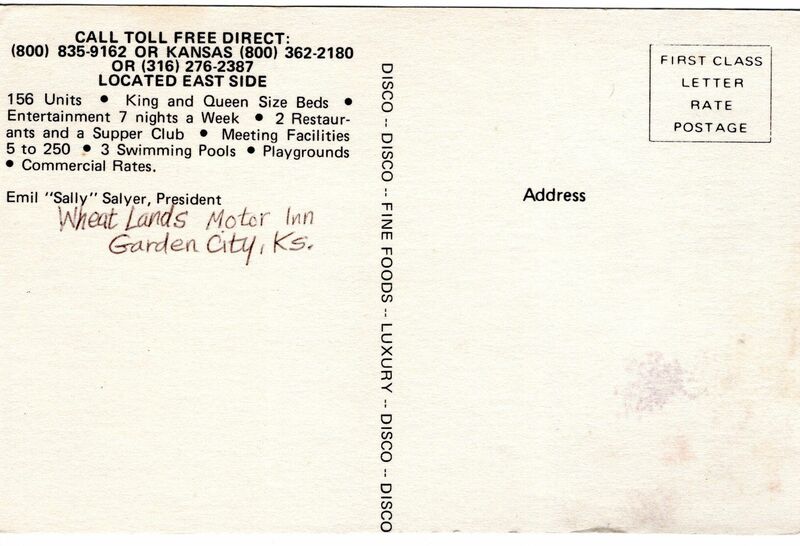 The Best Western Wheat Lands Hotel in Garden City, Kansas. 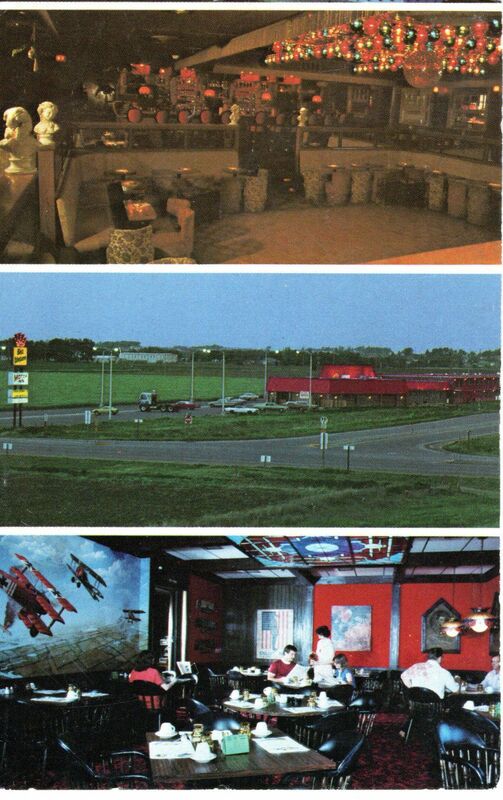 Nice looking restaurant. 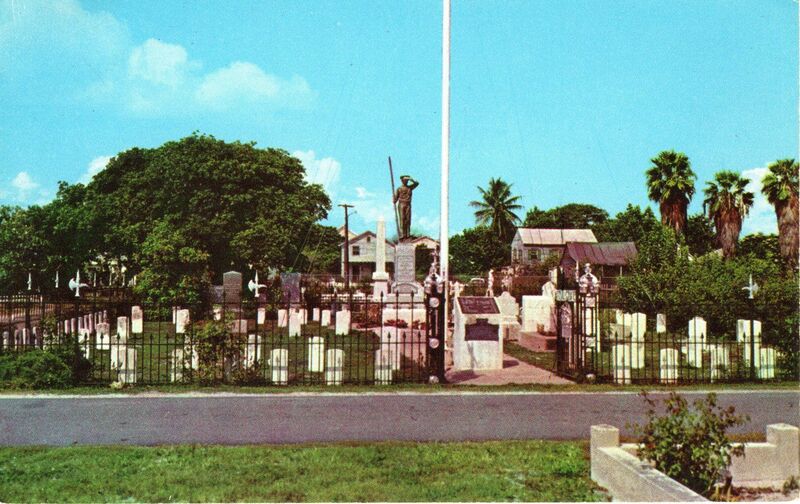 That interesting mural to the left shows WWI's Manfred Von Richthofen flying his red, Fokker Dr.I triplane. Shortly before he was shot down? 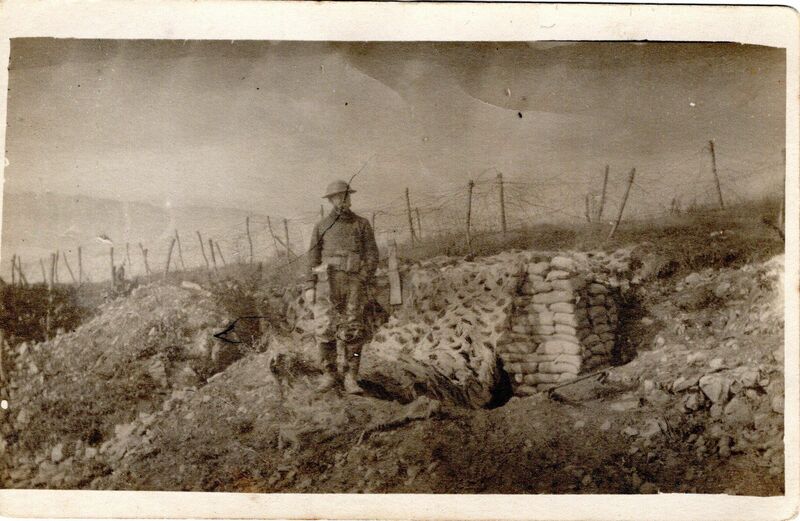 This rather striking photo postcard shows an American doughboy standing by a camouflaged trench dugout back in World War One. He looks pretty casual. It might be a sector where no fighting was taking place. 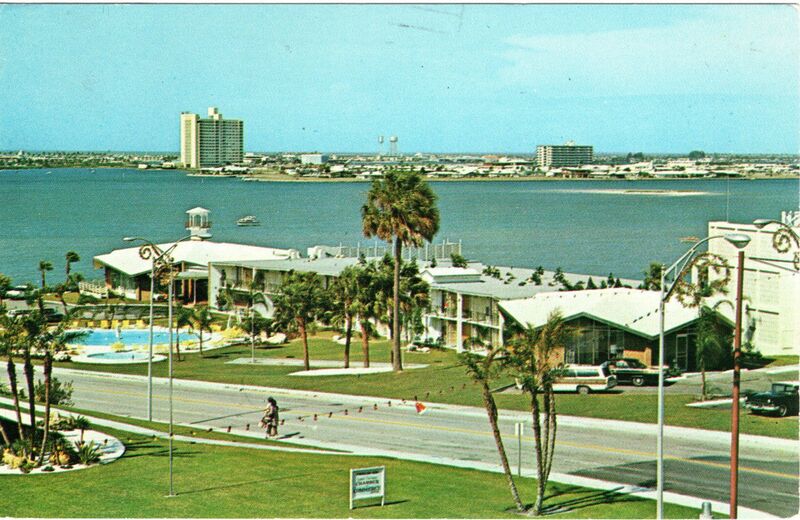 Or perhaps the war was over. Weird, Rix. He looks very alone. Hard to make out, but he appears to sport a large, light-colored mustache. 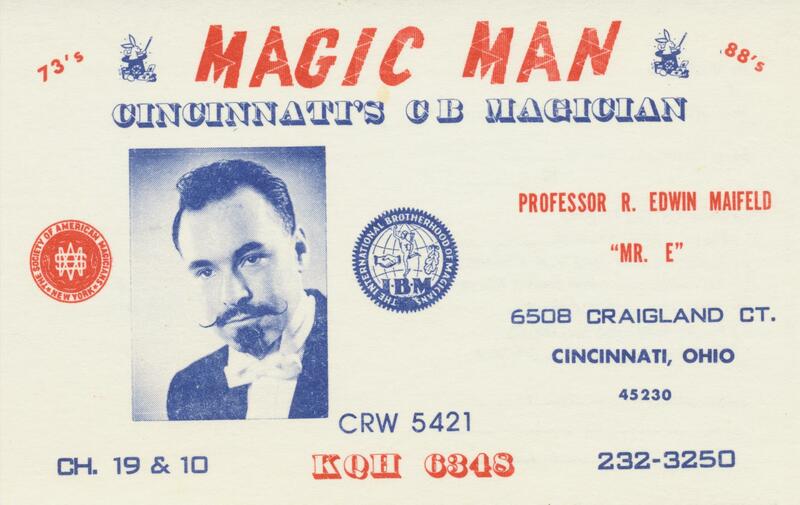 Yes, K. Now that you mention it, that guy seems to have a full out, bushy walrus mustache. 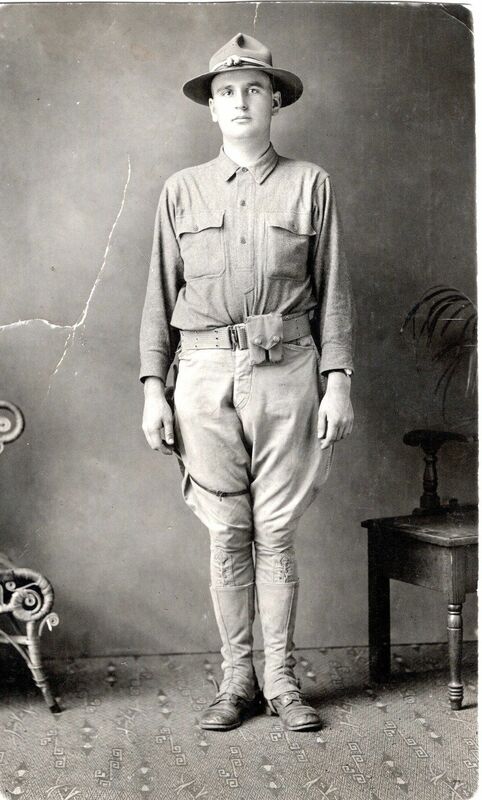 With just ten more days of World War One (one hundred years ago, of course,) I'd like to think that he was poking around after the fighting had stopped. Perhaps where he had been doing some heavy fighting just days before. That would certainly be the poetic thing; I like it. 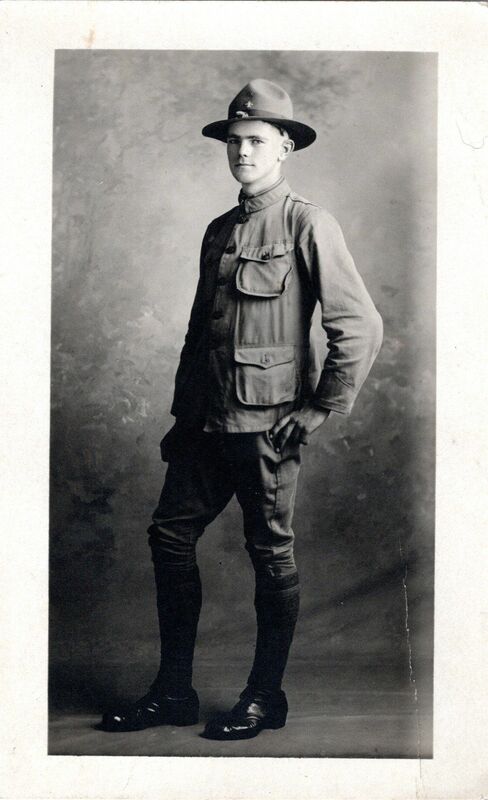 By this time, if I remember right, at least parts of the front had moved beyond the entrenched positions they'd held for years, and they were operating in the open. 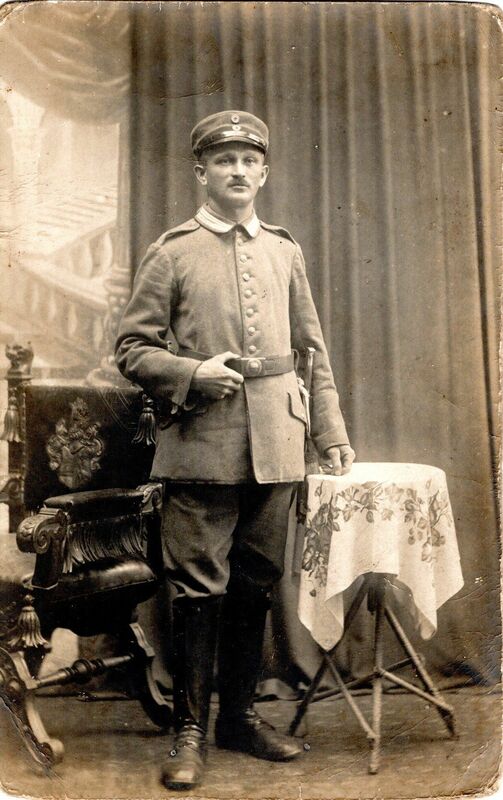 Maybe a senior NCO posing by a vacated German position? 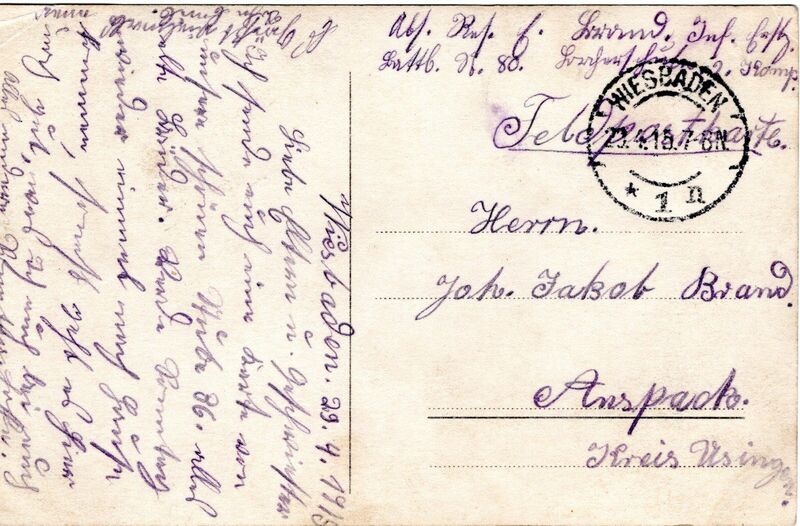 Another WWI postcard. 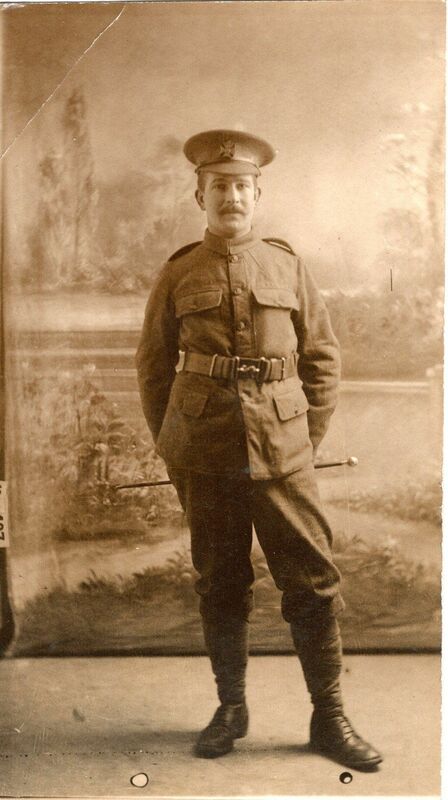 In my research, I have come to find out that the soldiers usually got their photos taken on two occasions. 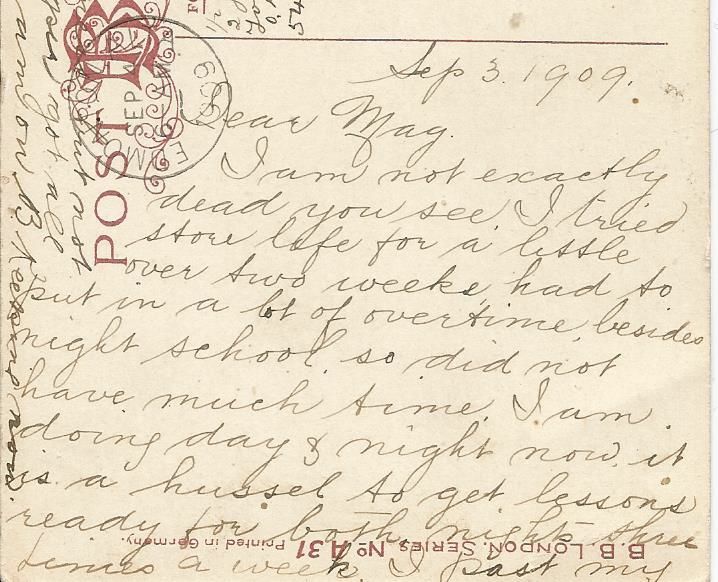 Shortly after their training stateside, and/or after arriving in France. Zounds! 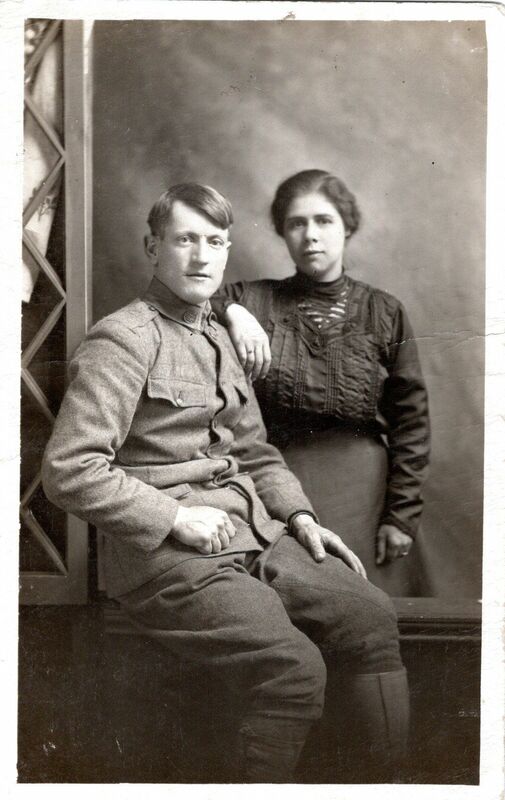 Put a mustache on that soldier and he would look like a certain German dictator in the next world war. 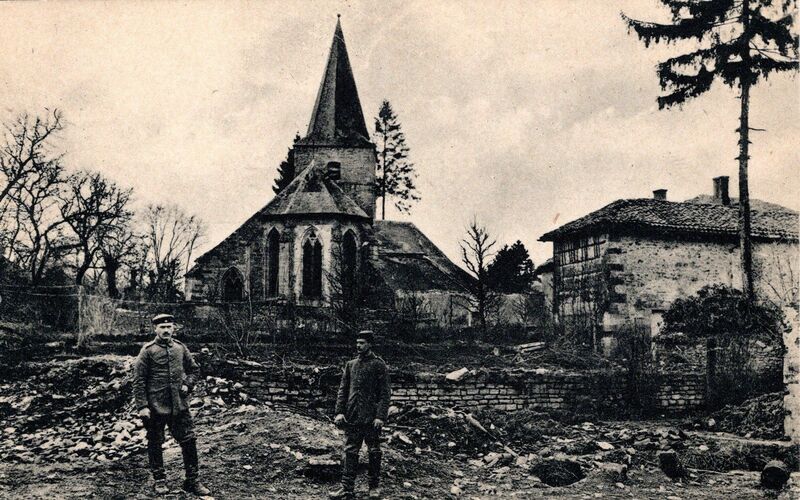 German soldiers in front of a church. 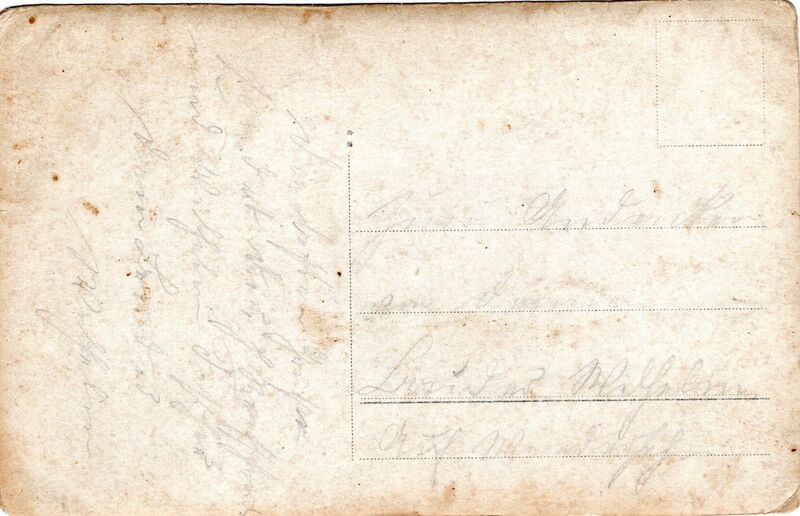 There was a note written on the back of the above card but it's too faded to read. Lost to the mists of time. 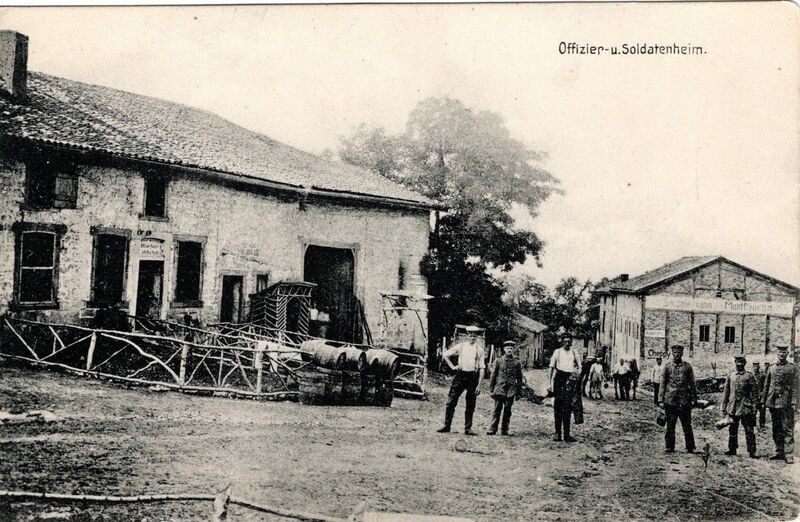 German officer's and soldier's home. 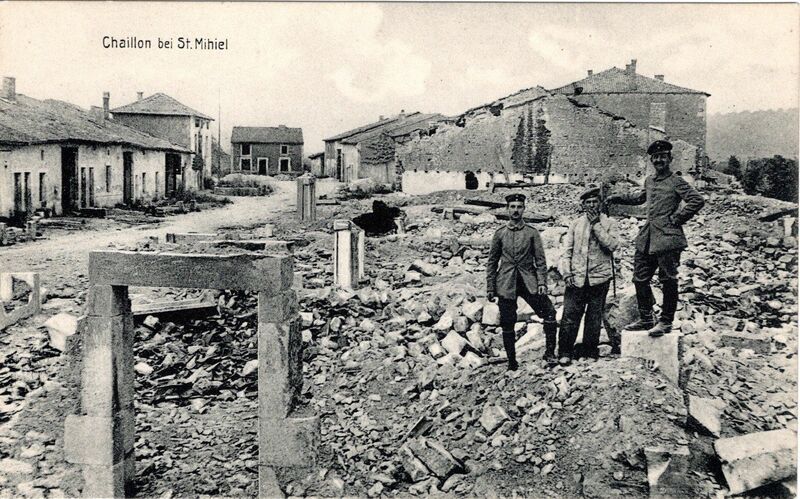 German soldiers standing in the ruins of St. Mihiel, France. 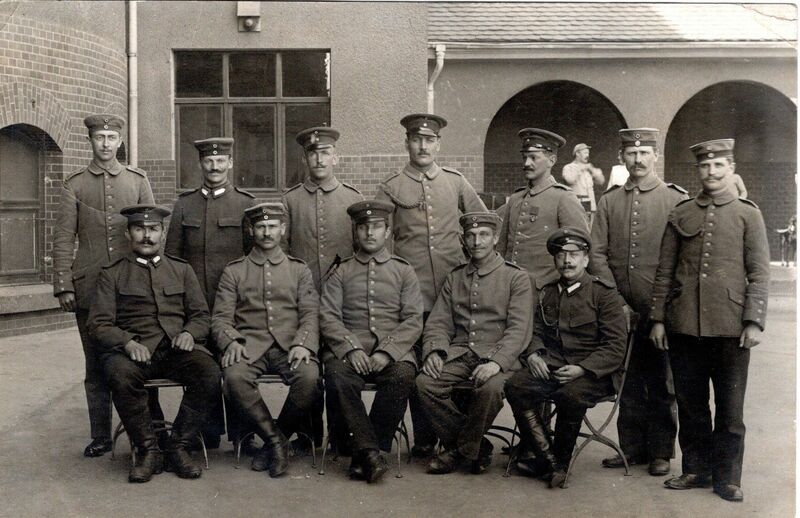 A group of German Infantry soldiers posing in Germany (Wiesbaden) with a note dated April 29, 1915. 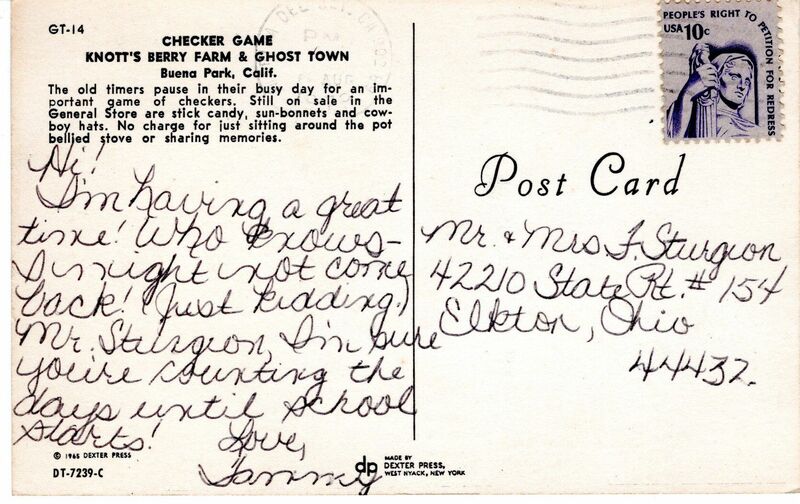 The postcard was cancelled on March 10, 1966. The North Vietnamese captured a US Green Beret Camp at Ashau Valley on that day. Edie Brickell (wife of singer Paul Simon) was born on March 10, 1966. 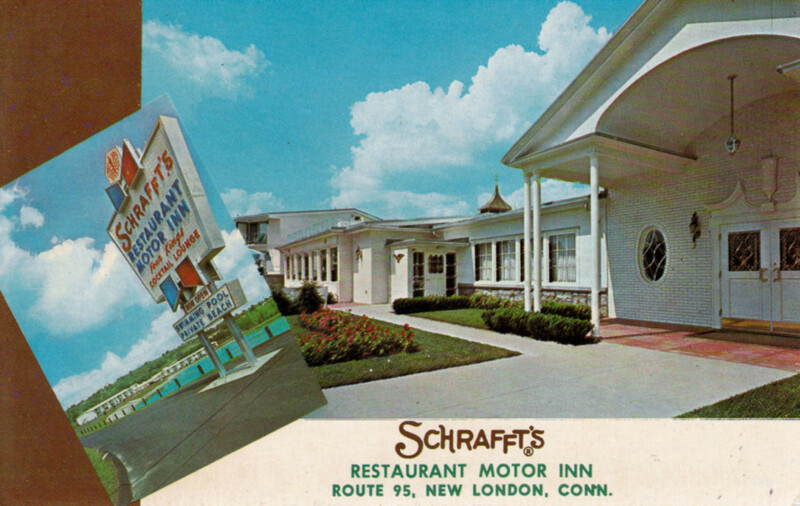 I looked for that Connecticut Schrafft's with the trees behind it, but all I could find was apartment complexes and condos.